To celebrate the 50th anniversary, the English Schools Foundation (ESF) organised its first ever running event in Central today. The event was supported by the Home Affairs Bureau and the Commission on Youth, and was open to both the ESF community and the general public. Race categories included 1km to 10km runs and a 1km family walk. Over 2,000 participants joined the celebration. An opening ceremony was held in the morning. Officiating guests included Mr Matthew Cheung Kin-chung, Chief Secretary for Administration, Mr Kevin Yeung Yun-hung, Secretary for Education, and Mr Lau Ming-wai, Chairman of the Commission on Youth. From ESF, Mrs Belinda Greer, Chief Executive Officer of ESF, other ESF board members and senior leaders from ESF also attended the ceremony. Despite the sweltering heat, runners unleashed their potential and demonstrated strong spirit. Brendan Kean from ESF Clearwater Bay School and Jennifer Whybrow from ESF Peak School were crowned champions in the 10km Individual Run Male Master 1 and Female Master 1 categories. They finished the race in a time of 0:33:22 and 0:45:47 respectively. A community carnival was also held at Edinburgh Place, Central, with exciting performances and games booths organised by ESF teachers and students and other organisations. A wide range of music and dance was performed by our alumni and students from across nine ESF schools. 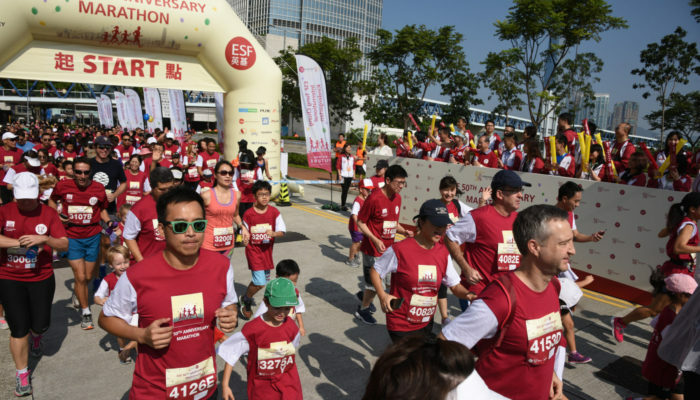 “To mark our golden celebration, the ESF 50th Anniversary Marathon serves as a sporting event promoting health and wellbeing, and at the same time, encouraging community involvement, promote sports culture and spirit and raise public awareness of caring and supporting children with special needs through our network,” said Mr Abraham Shek. 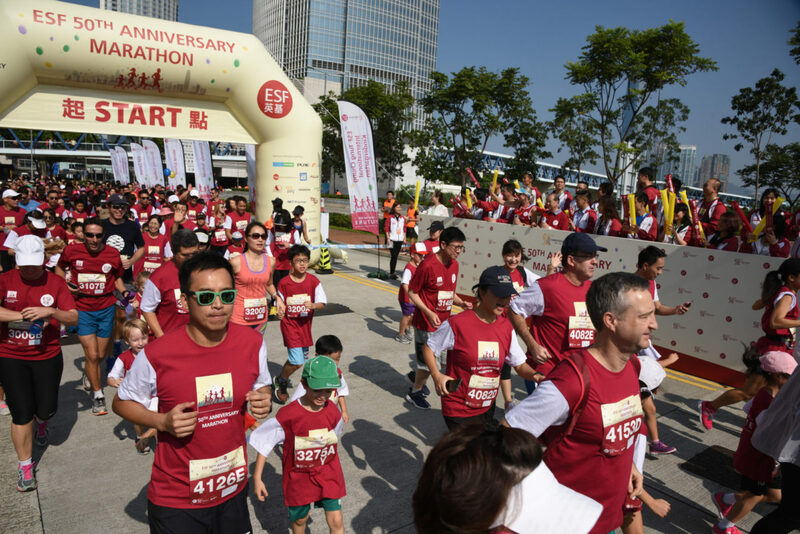 The Marathon is part of the series of ESF 50th Anniversary celebrations to celebrate ESF’s 50 years in Hong Kong.